Handpainted Needlepoint Designs > Fun & Whimsical > Is it over yet? 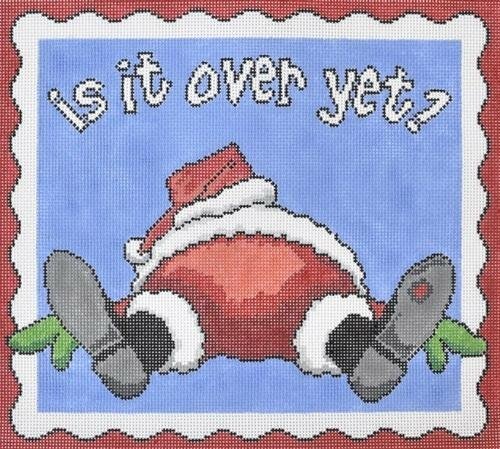 "Is it over yet>" is a whimsical depictionof a sprawled Santa. It is offered by Cooper Oaks Designs. The 11" x 12" design is hand painted onto 13 mesh mono needlepoint canvas. If you require stretcher bars we recommend a pair of 15" and a pair of 16" and some thumb tacks. This whimsical needlepoint design is suitable for a beginner stitcher.